Empire Mates Entertainment (EME) boss, Bank W has posted a picture of his mother and one of his brothers. The RnB single posted the piece of photograph on his twitter page last night. 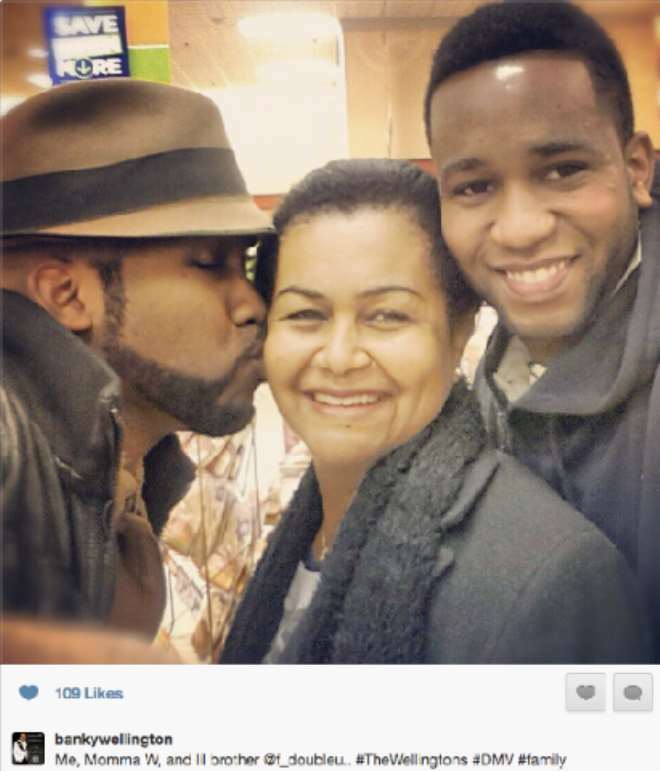 In this said picture, Banky W was captured kissing his mum on her cheek while his little brother, according to him, looked on. This is more or less the first time the single is posting a picture of his parent.